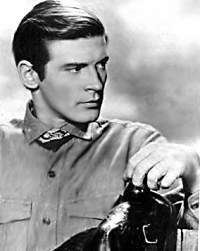 Clay Culhane (Peter Breck) had been a gunfighter but he lost his brothers in a shootout. This caused him to give up his violent ways and become a circuit lawyer who carried his law books in his saddlebags. 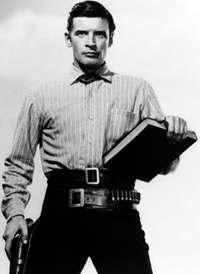 This half hour Western set in Latigo, New Mexico Territory during the post-Civil War years, included Russell Johnson as the Marshal and Anna Lisa as the proprietor of the Marathon Hotel. TV Guide’s Black Saddle Page, with TV Listings, Photos, Videos, Exclusive News and More.